Phuket, Thailand — How would you like to train 3 times a day, devour $3 local dishes, receive inexpensive massages, relax at the beach, and repeat? If this sounds appealing to you, Phuket Top Team is where you should visit. After a long road trip in Australia, I was back in Southeast Asia. However, this trip was different. 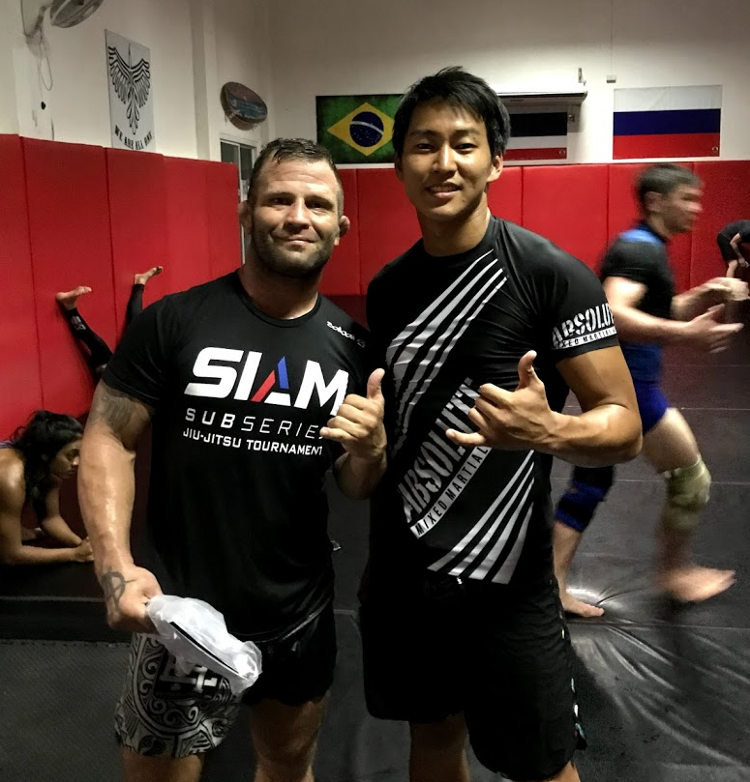 I wanted to focus on training, and Soi Ta-iad in Phuket was the perfect destination. MMA and Muay Thai fighters from all over the world pour into this street, which is commonly referred to as the “Fighters street” in Phuket. The street consisted of various gyms, healthy restaurants, fitness supply stores, and guesthouses. Among a few options, I decided to train at Phuket Top Team. I ended up staying longer than I initially anticipated and had absolutely no regrets training there! 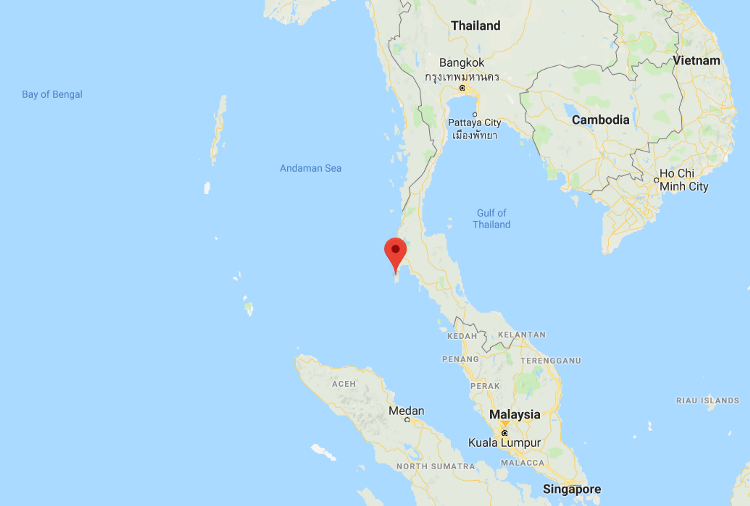 Phuket, one of the southern provinces in Thailand, includes the main island as well as other 32 smaller islands off its coast. Since it is known to have Thailand’s most popular beaches and islands with blue waters and white sands, the island is home to high-end resorts and restaurants. However, Soi Ta-iad is different. 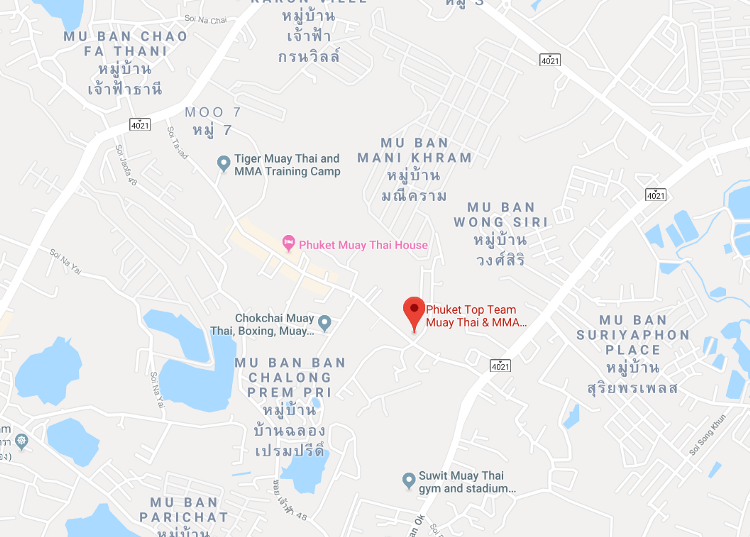 This district is solely dedicated to the fitness fanatics offering healthy dining options, affordable accommodations, and various gyms including Phuket Top team, Tiger Muay Thai, and other CrossFit and yoga studios. Compared to other parts of Phuket, the street itself falls silent after 9 pm as everyone is preparing for the next morning’s training sessions. Phuket Top Team is one of the renowned academies in Southeast Asia that breeds Muay Thai and MMA fighters. The academy attracts everyone from elite athletes who are training for their upcoming Muay Thai and MMA competitions to beginners who recently started their fitness journey. Phuket Top Team’s Brazilian Jiu-Jitsu program is led by Professor Olavo Abreu, who is a 4th-degree Black Belt under Carlson Gracie Jr. His teaching style is similar to that of a drill sergeant. The majority of warm-ups and drills were high-intensity with minimal breaks. In Phuket’s 30+°C scorching and humid weather, everyone was huffing and puffing within 10 minutes of the class. Then, the intense drilling session was simply followed by positional sparring and rolling. The academy’s no-gi and wrestling programs were led by Coach Eric Uresk, who has a credentialed grappling background as a Judo and Brazilian Jiu-Jitsu Blackbelt combined with Greco-Roman and catch wrestling. With his diverse combat sports background, the classes mixed various grappling arts and their applications in a unique way. Despite Phuket Top Team’s intensity, all of the instructors were approachable and friendly and I instantly felt like part of Phuket Top Team’s family. Also, Coach Eric used to train in Long Island in New York, and we connected over my old coach, Loro Galvao. It never ceases to amaze how small the world can be. Another reason I loved training at PTT (Phuket Top Team) was its diverse student base. The duration of every student’s stay at Phuket Top Team varies from one week to a few months depending on their goals. However, it is common to see students return in the future. During my 2-week training at the academy, I had the opportunity to meet people with diverse nationalities including Israel, Norway, Netherlands, and Portugal. It was a total BJJ Globetrotter experience without traveling to another location. 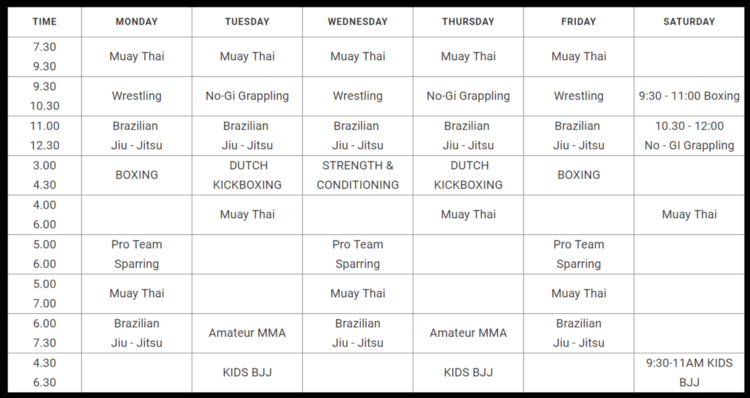 A typical day for me at Phuket Top Team started with a 2 hour morning Muay Thai session at 7:30 am, followed by Brazilian Jiu-Jitsu at 9:30 am. I then refueled at a nearby restaurant and recovered by the pool until the afternoon session. Finally, I’d return to the gym in the early evening for a no-gi Brazilian Jiu-Jitsu session to finish off the day. The classes might vary depending on the day. I absolutely enjoyed every minute of training at Phuket Top Team. It was incredibly worthwhile dedicating myself to something I love. Training 3-times a day for an extended period time is definitely not for everyone, but I would recommend pushing yourself with top athletes at PTT if you have a chance. I will be back soon enough for more. Thank you, Phuket Top Team! Classes were offered every day except Sunday. With PTT’s endless class offerings, it is somewhat challenging to choose which classes you want to attend for the day. However, from no-gi grappling to dutch kickboxing, you will not run out of the options. From one-day to 3-month visitor passes, there are a few options that suit everyone’s training need. If you wish, you could also book accommodation and meal plans through the academy. The details for pricing can be found on the academy’s website. Beaches in Phuket — If you are looking for a packed beach with endless bars and nightlife, Patong Beach is where it is at. Patong Beach is especially popular with young backpackers due to its party atmosphere, and people either love it or hate it. On the other hand, if you are looking for more of a private island feel and staying away from committing a sin, Kata Noi Beach might be a better option. Besides, Phuket has countless beaches all around the island that you can choose from, and you will have to decide it for yourself! Street Markets — One of my favorite parts in Southeast Asia is: Street Markets. Phuket offers a variety of markets to shop counterfeit goods, funky souvenirs, and incredible street food. Among Phuket’s street markets, my favorite one was Chillva Night Market. 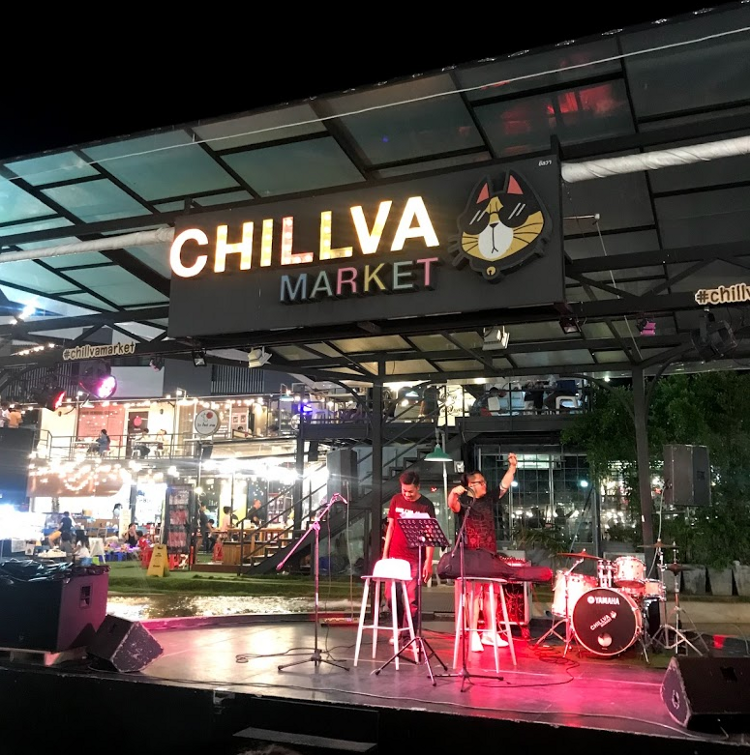 Chillva Night Market is a trendy and modern night market with bands playing live music at an amphitheater when the market is in full swing. After training and spending time at the beach, it is the perfect place to end the day in Phuket.